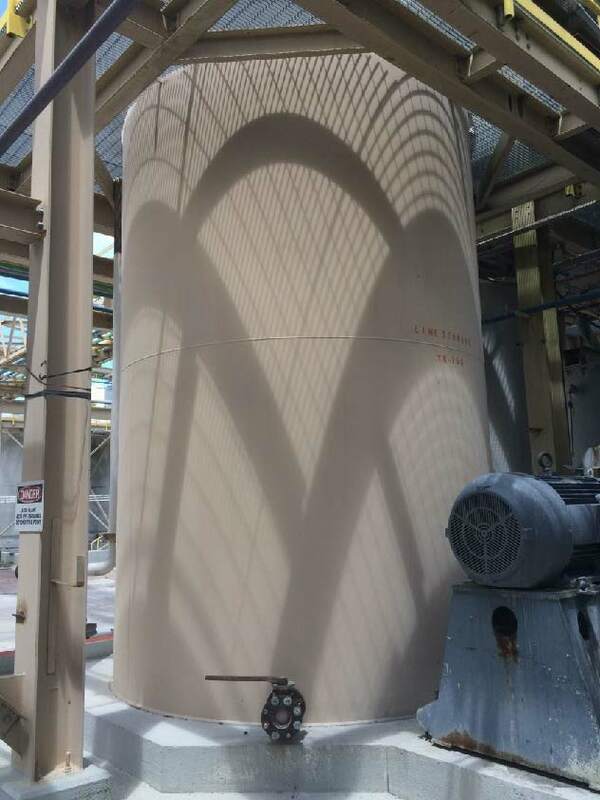 9,300 gallon tank, carbon steel construction, measures 10' diameter X 16' high. Features 2" and 4" flanged inlet/outlet, with flat top and flat bottom. 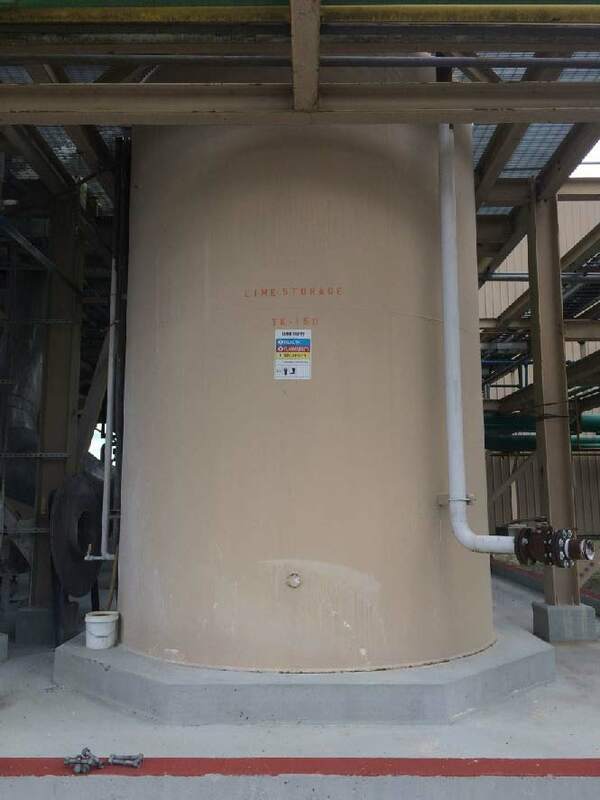 Last used as lime slurry tank in minerals processing operation.